Alex Wiley on the road to becoming his "Own Man"
Last Wednesday I noted what a strong week it had been for Chicago hip-hop, even though it wasn't entirely finished, and the day after that I got stuck on new tracks from, among others, Ibn Inglor ("Belief"), Lucki Ecks ("Boomin'"), Chief Keef ("Save Me"), and Chris Crack ("DopePussyMoney"). February's shaping up to be quite a month for local rap. Just yesterday west-side group Sicko Mobb dropped the glittering bop cut "Pump Fakin'," and iTunes began streaming Rick Ross's Mastermind, which includes a track produced by Kanye West and LA ratchet king DJ Mustard called "Sanctified"—the track's so great it even makes Big Sean's generally unexceptional rapping sound somewhat decent. 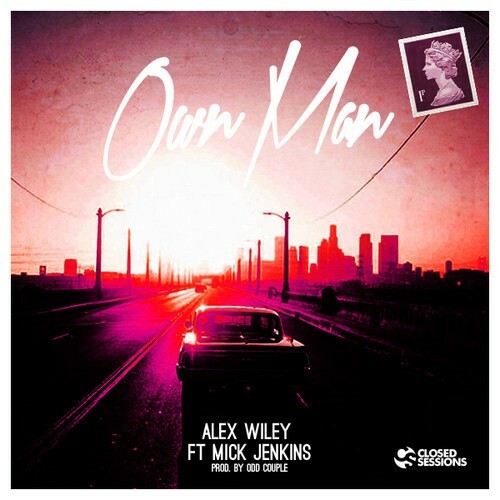 In the middle of this stream of new tunes Closed Sessions released a new track from charismatic and colorful young MC Alex Wiley called "Own Man," the first single from his forthcoming second mixtape, Village Party. On the chorus Wiley raps that he has "a head full of mischief," and he's definitely a puckish dude in the most playful and endearing sense. When Wiley's not making music he can spit goofy inside jokes like they're lyrics in his songs, delivering them with ferocious energy and speed. On "Own Man" he channels that mischievousness and uses it to rap with impassioned gusto about some unglamorous personal struggles. I'm particularly struck by the way Wiley mentions being "the kid at school niggas ain't wanna sit by," which comes fast, but lands with a wallop—anyone who ever felt isolated and rejected at one point growing up can empathize with that kind of miserable memory. Wiley just uses the experience as fuel to propel his rap career and "Own Man." It all works well with the dreamlike maximalist production from local duo the Odd Couple and Mick Jenkins's grizzled rapping. Stream the tune below and keep an ear out for what I can only imagine will be several more great tunes that should come out before February comes to an end. Leor Galil writes about hip-hop every Wednesday.